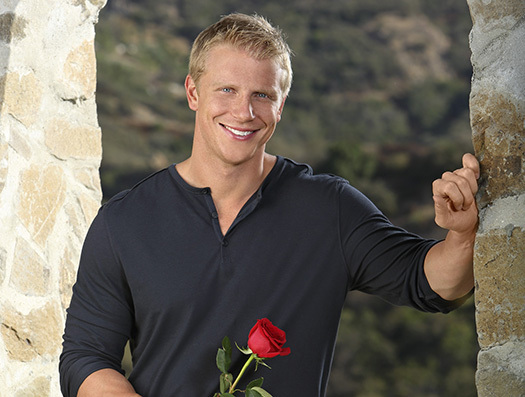 After leaving The Bachelorete broken-hearted over Emily Maynard, many wondered if Sean Lowe, a fan favorite, would return for his chance at redemption. And the answer was yes. Sean, the golden haired, good boy, who punked Emily into thinking he lived with his mom on their hometown date, will be back this season with 25 women vying for an engagement ring. In a recent conference call interview Sean discussed Emily, why he returned and what he’s looking for in a woman. See if Sean find true love when The Bachelor premieres Monday, January 7 at 8 p.m. EST/7 p.m. Central on ABC. Sean is just a genuine sweetheart and it’s nice to see that he realizes that Emily wasn’t the one for him. It takes a lot of heart to come back on a show like this when you’ve had your heart broken but it seems like he is really just trying to find happiness. No one can fault him for that because everyone deserves to be happy. My DISH co-worker thinks that he’s got a great chance at finding true love because he really puts himself out there, no holds barred. I plan on watching this show when it starts airing next week and with the DISH Hopper I can record and store over 2,000 hours of my favorite movies and shows. That way I know I’ll be able to enjoy each and every episode that airs.